When the holiday season is approaching, you’re always in a hurry. Preparations take a long time and are hard to swing when you’ve already got a job and a family to take care of. So what about the joy of giving gifts to the ones you love? More than once, finding presents for your family and friends becomes more of a burden than a joy, and it just isn’t right to feel stressed and exhausted around such a wonderful time as the winter holidays. If this sound familiar, you’ve probably tried to cut corners before, looking for gifts you can order online or anything that can simplify your task. The thing is, offering gifts to your loved ones shouldn’t be just a polite exchange, forced upon you by a calendar date. It should be meaningful and should show your appreciation for them and gratitude for having them in your life. We know it’s complicated to look for personalized gifts for all of your friends and family members, but we are here to bring you the solution you need. 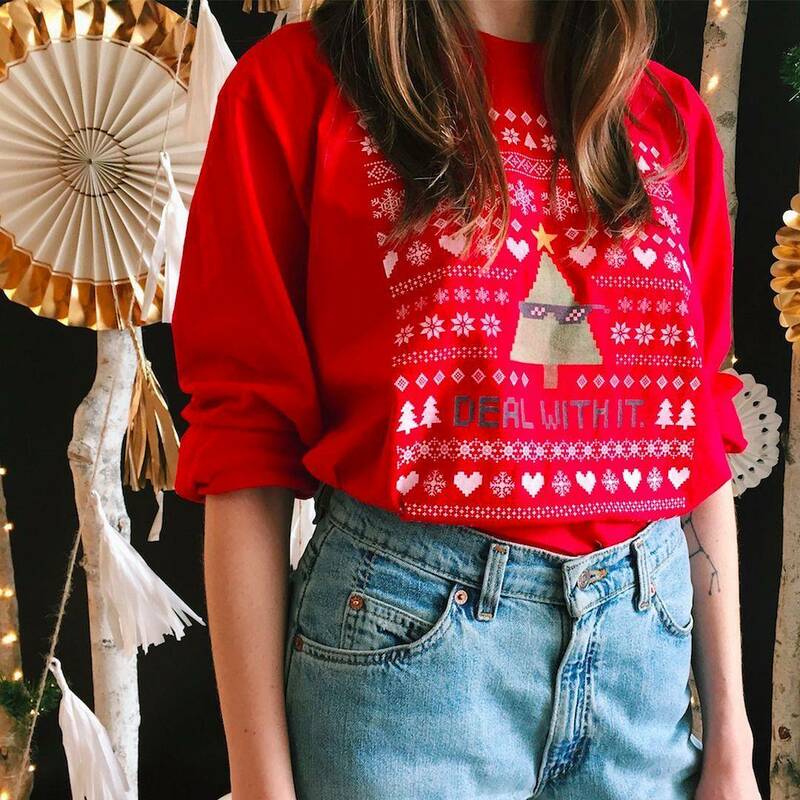 Forget about ugly Christmas sweaters, Christmas t-shirts are the perfect gift and are going to change the way you approach the winter holiday season. We know this may seem like quite an unconventional idea, but once you get used to it, it’s only going to sound more and more ingenious. And yes, we know winter is not the season to wear t-shirts. But if you think about it, a t-shirt is such a basic piece of clothing that it goes with everything, and with the right items, it can be worn all year round. If we haven’t convinced you yet, just think about all the possibilities you have to choose from. And, if even after you’ve turned every stone in search for the coolest Christmas t-shirts and still haven’t found them, there’s always the possibility of getting one personalized for you. The first thing you should do when setting off to buy a gift is to consider the amount of money you are willing to spend. Among the factors that you should be taking into consideration are your holiday budget, the age, tastes and preferences of the person you are buying the gift for, and much more. After having outlined the most important aspects that will influence your decision, you should consider how the relationship you have with the consignee will impact on the final decision. For example, a gift for a close friend would certainly be less prestigious than one for a respected distant relative. Also, this is an important aspect when buying gifts for your co workers or managers. There is a possibility that buying a trivial gift like a Christmas t-shirt for a person you’re not quite on familiar terms with will come out as a tasteful joke. If you’re willing to assume that risk, try to look for superior quality in the characteristics of the product that you end up buying. Another aspect that you should be careful about is the message inscribed. We recommend you to personalize a t-shirt rather than buy one already printed, to avoid being rude and tasteless. Remember that an office inside joke between employees is always harmless fun. The gift industry is a prosperous one. You might happen to stumble across manufacturers that are looking to gain a profit rather than make their customers happy and deliver high-quality products. You should know how to avoid situations like these when setting off to find the perfect present. Although it’s hard to check for product quality when you’re shopping online, you can still examine the characteristics of the product in the description. Look for qualitative materials like cotton, avoid materials that ruffle easily and need to be ironed often. If possible, choose organic fabrics and avoid plastics like polyester that are unpleasant to touch and deteriorate easily. Perhaps the most striking aspect of a t-shirt is the color or the pattern. Most Christmas t-shirts will have thematic colors, like red, green and white, to symbolize the winter holidays. However, when making a gift, you should consider buying a t-shirt that won’t only be worn around this time of the year, but rather all year round. Therefore, although it might be more unconventional, consider exploring other colors, according to the preference of the recipient, of course. The pattern is a debatable subject. Some people prefer traditional patterns, heavily related to the stereotypical Christmas symbolism. You’ll see a lot of t-shirts with prints depicting reindeer, Christmas trees, snowmen, maybe even penguins or polar bears, all accompanied by joyful greetings. 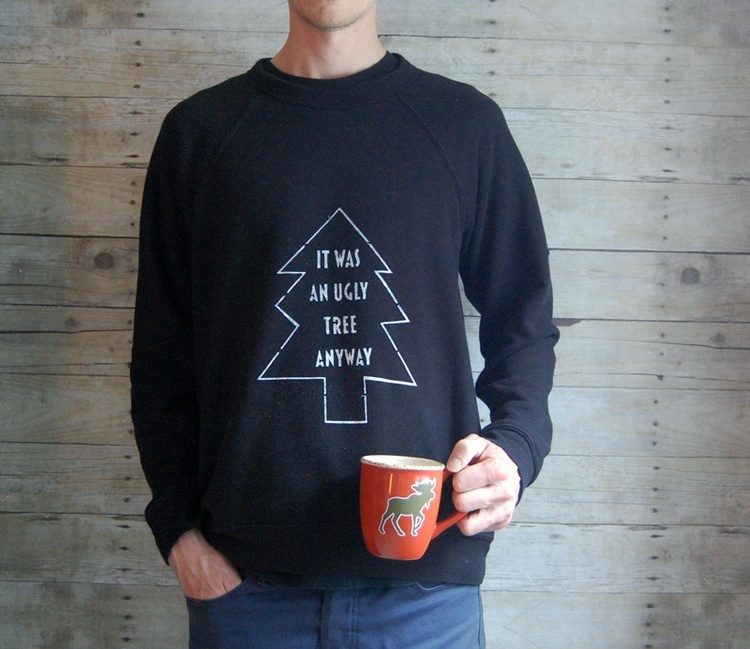 If the friend or relative you’re buying the gift for isn’t really a holiday enthusiast, it’s worth considering getting him a t-shirt that’s not obviously related to the idea of Christmas. For example, you can either choose for already printed t-shirts depicting anything from baby animals to funny messages that you’ll later joke about whenever you see each other, or you can print one yourself at a printing center. If you feel that nothing that can be found on sale matches your preferences and those of the people you’re buying the gifts for, there’s always the option of having a t-shirt customized according to your instructions. You can choose to print anything, from family photos to significant messages, from reminders of the memories that you shared to funny faces. Last but not least, the most important thing about buying holiday gifts is to remember to enjoy the process. Even reading the best Christmas t-shirt reviews won’t help you make a satisfying choice if you’re in a bad mood and you’re put off by all the holiday bustle. If you’re out of Christmas gift ideas, all you need to do is to follow our simple tips and you’ll be sure to end up with a cool Christmas t-shirt, an ideal personalized gift that anyone would enjoy to receive! Remember though that the only way to spread the Christmas merriment is not by making perfect gifts, but by being joyful yourself and enjoying not only the holiday itself but also the time spent preparing for it.